Winner of more than 200 Game of the Year Awards, Skyrim Special Edition brings the epic fantasy to life in stunning detail. 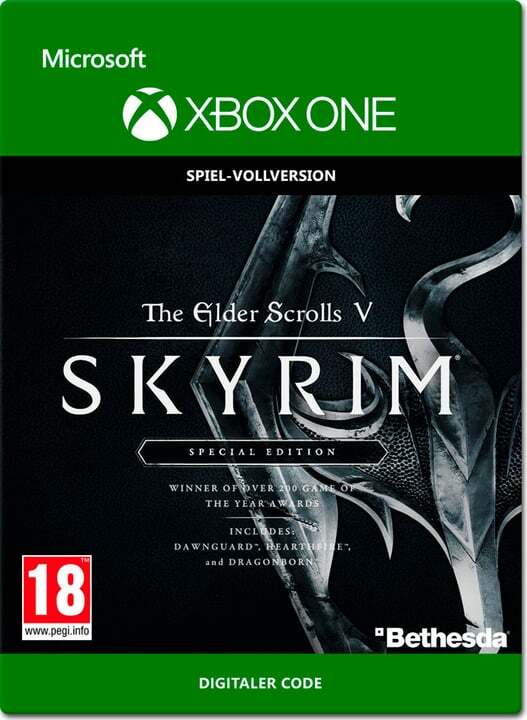 Skyrim reimagines the open-world fantasy epic, pushing the gameplay and technology of a virtual world to new heights. Play any type of character you can imagine, and do whatever you want; the freedom of choice, storytelling, and adventure of The Elder Scrolls comes to life in one legendary experience complete with added weapons, armor, spells, all in stunning next generation graphics! Experience the complete Skyrim collection, including the critically-acclaimed game on next generation, official add-ons - Dawnguard, Hearthfire, and Dragonborn and for the first time, the power of PC mod's on console. All-new features such as remastered art and effects, volumetric god rays, dynamic depth of field, screen-space reflections, and more. New quests, environments, characters, dialogue, armor, weapons and more.